Image: Cat staring out a window; : http://media.merchantcircle.com/30140539/cat%20looking%20out%20window_full.jpeg .. Note how the reflection of cat can be seen in the window glass. 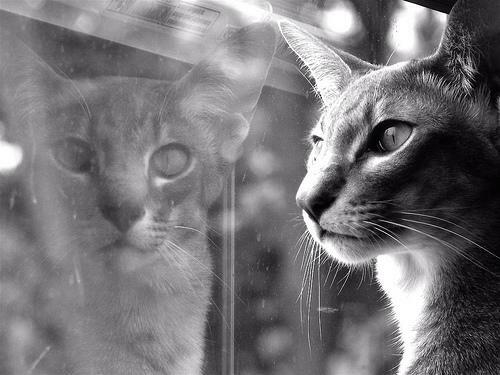 It’s as if the reflection of the cat is looking at us … as if the reflection were the cat. And it looks like a predator ready to pounce … threat energy! This entry was posted in Ego - higher self, Power over - powerlessness - service to self - service to others and tagged ego, power over, Threat energy on 11 May 2013 by Alice B. Clagett.